Below is basic information on bail bond laws for Delaware concerning Bail Enforcement, Bounty Hunters, Fugitive Apprehension and Bail Bondsman. This is not legal advice. Laws change frequently, please check the links provided for possible updates and current information. 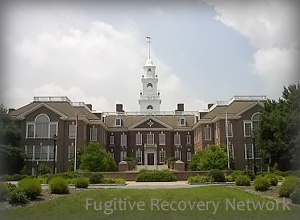 Delaware’s statutes currently do not contain comprehensive regulations for bail bond recovery or bail enforcement agents, though some provisions exist regarding forfeiture. The most comprehensive regulations are contained in the proposed House Bill No. 226. The applicable provisions in this bill are, therefore, given for information purposes on what will likely become Delaware law regarding bail enforcement agents. It should be remembered, however, that this bill is not current law and may not become such. A summary of the bill and the bill’s status are given below. Family Court Rules of Criminal Procedure, Rule 46 Michie’s Delaware Code Annotated Rules Court Rules For The Family Court Of The State Of Delaware Rules Of Criminal Procedure X. General Provisions Rule 46. Bail. SUMMARY: Requires bail enforcement agents, commonly known as bounty hunters, to be licensed by the Department of Public Safety; requires bail agents searching for a person to notify the State Police and a municipality’s chief law enforcement officer prior to searching or apprehending a person within the municipality’s jurisdiction. 1999 Delaware House Bill No. 226, Delaware 140th General Assembly Introduced Version Date May 12, 1999 Section 5402. Definitions. The applicant has never been convicted for the unlawful use, possession or sale of a narcotic, dangerous drug or central nervous system depressant or stimulant as those terms were defined prior to the effective date of the Uniform Controlled Substances Act in June, 1973, or of any narcotic, drug or controlled substance as defined in Chapter 47 of Title 16. Delaware bail agent’s arrest authority. Delaware Code Annotated Title 11. Crimes And Criminal Procedure Part Ii. Criminal Procedure Generally Chapter 25. Extradition And Detainers Subchapter I. Extradition; Uniform Criminal Extradition Law § 2518 Forfeiture of bail. At this time, there appear to be no specific regulations for “Bounty Hunters” in the Delaware statutes in addition to those in the proposed House Bill No. 226. Please check with the Delaware’s Department of Insurance, Licensing Board and/or Local Law Enforcement for the most recent updates. If you know of any updates to a Delaware’s bail bond laws, please provide as much detail as possible and send to us using our contact form.